Being the largest city in Namibia, Windhoek is perfectly positioned to start or end your Namibian experience. The city is laid back with a vibrant energy, and modern without compromising the bold German influences of yesteryear. About half an hour from Hosea Kutako International Airport, the city is perfect for either business, leisure or bleisure getaways. Whether you are looking to explore the history or experience the modern amenities Windhoek has something for everyone. John McAree, general manager at Hilton Windhoek, shares what he considers the 10 must-do activities in Windhoek. Tintenpalast, German for 'Ink Palace,' is Namibia's parliament. This remarkable, 102-year old building was made from indigenous materials and is surrounded by 80 year old manicured gardens. Tintenpalast gets its name from the ink that was used to sign the excessive paperwork that came out of the administration at that time. The premises are also home to the first post-independence monument - a statue of Herero chief, Hosea Kutako, who famously opposed South African rule. Namibia is a former German colony and in the city of Windhoek, the German influence is almost palpable. A guided tour of the Namibia National Museum at Alte Feste (Old Fort) is essential, and engage historic information from the German invasion of Namibia to the liberation struggle. 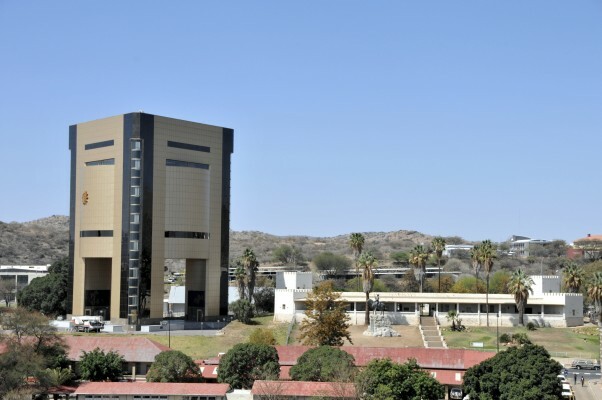 Take a trip to Katutura, a township situated on the outskirts of the city. The locals are friendly and it will give you a glimpse of how some of them live. The history of the township is interesting and it informs Namibia's December 10 public holiday celebrating Human Rights Days. Most guided tours of the township delve into it as part of the tour. Visitors can book the township tour via a tour operator which your hotel can recommend. Enjoy an interactive dining experience at Hilton Windhoek's restaurant, Ekipa. Patrons have the opportunity to prepare their own dishes, from the menu or not, with the help of chefs. The Hofmeyer Walk is a leisurely walk through the Klein Windhoek Valley. The Klein Windhoek Valley offers majestic views of the city and the vegetation in the outlying areas. The walk takes about an hour long and is suitable for all ages. Visit one of the oldest landmarks in the country, the Christuskirche or Christ Church in English. The church was the result of the end of the war between the Germans and the Khoikhoi, Ovambo and Herero. The church's décor elements are ornate and reminiscent of the rebellious art nouveau movement from the early years of the 20th century. The building is still in use to this day by Lutheran worshippers. Leisure is not leisure until there is some pampering. Relax and replenish at award-winning Breeze Spa, located at Hilton Windhoek's 9th Floor. Guests can enjoy a variety of treatments to recharge and rejuvenate your body. While the skilled masseuse works on your feet, feast on a breath taking view of the Windhoek skyline and beyond. Located in a Dutch-German colonial-style building at the Windhoek Train Station, the museum paints a picture of the transport system in Namibia from late 1800's into the 20the century. 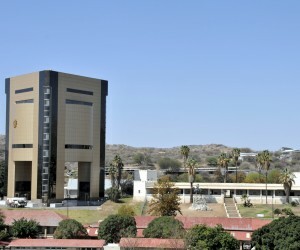 It is home to old locomotives, which were used during the German South Africa rule and archives of information on the evolution of transport in Namibia. End your day with sundowners at Skybar, a rooftop bar at Hilton Windhoek. Artisanal and classic cocktails are served, along with a generous wine list and a range of beers available. Where you can enjoy cocktails, watch the sunset over stunning panoramic views of the city. What's a trip without momentos? Spoil yourself and your loved ones with authentic souvenirs from Namibia Craft Centre. The centre is home to craftsmen and women who sell artefacts that include carved Makalani kernels, Himba bracelets, dyed wild silk, San ostrich eggshell jewellery, to name a few. At the Namibia Craft Centre is also a café, Craft Café which serves light lunches and snacks.